Join us for the Garage Grocer open house and Colorado Micro-distiller tasting today (Saturday, Feb.9th) from 3 – 7 pm. It’s in the garage, so bundle up if it’s cold. We’ll have the fire pits going with hot chocolate from Robin Chocolates, hot apple cider from YaYa Farm and Orchard, and lots of local food samples from the garage. 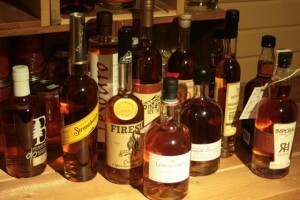 Whiskeys from more than 12 Colorado Distillers are represented (so far). Luc and I will be blogging about the event for MicroShiner Magazine, the definitive guide to the micro-distilling movement. Check it out! See you in the garage – we’re at 1612 6th Avenue, Longmont 80501. It is a family-friendly event, with lots of non-alchoholic options. Walk, ride or scooter over (thanks Owen – good idea!) and we will see you in the garage!